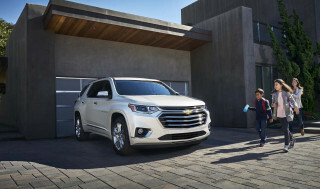 TheCarConnection.com's editors recommend that 2010 Toyota Highlander buyers opt for the Sport, which corners more confidently and simply feels better during most types of driving, without exacting a penalty in ride comfort. The 2010 Toyota Highlander's appeal has grown even more massive with the addition of a fuel-efficient four-cylinder engine for base models. TheCarConnection.com has driven the 2010 Toyota Highlander and Highlander Hybrid to bring you this hands-on review that covers styling, performance, safety, utility, and features from on-the-road observations. TheCarConnection.com's editors also researched reviews from other sources to give you a comprehensive range of opinions from around the Web-and to help you decide which ones to trust. High Gear Media drove a manufacturer-provided Toyota Highlander and Highlander Hybrid to produce this hands-on road test. The Toyota Highlander was completely redesigned for 2008. In the process, it grew a full size larger than the previous version, from compact to mid-size, adding an optional third-row seat in the process. It's a popular family crossover, with the unusual feature of an available hybrid model, which only the compact Ford Escape and the luxury Lexus RX line offer. The base 2010 Highlander starts at $25,855, the 2010 Highlander Hybrid at $34,900, and the line competes with the Honda Pilot, the Chevrolet Traverse, the Mazda CX-9, and the (five-seat) Ford Edge. Like many Toyotas of recent years, the styling of the 2010 Highlander and Highland Hybrid has grown more rounded but no more distinctive. With the exception of the space-age Prius hybrid, Toyota vehicles rarely stand out, and that includes the Highlander. While the interior is well built and offers all the amenities buyers expect, it's not particularly stylish-which seems to be just fine with hundreds of thousands of Highlander buyers. The base engine on the 2010 Toyota Highlander is a new 187-horsepower, 2.7-liter four-cylinder paired to a six-speed automatic. It provides acceptable performance and decent fuel economy, although it's not quite as silky and responsive as the smooth, torquey 270-horsepower, 3.5-liter V-6 that's the optional engine. Toyota may call its five-speed automatic the "Super Intelligent Electronically Controlled Transmission," but its lethargic downshifts, even in manual mode, drains some zest out of the big V-6. 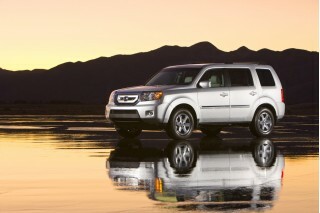 The EPA rates the four-cylinder model, which is only available in front-wheel-drive form, at 20 mpg city, 27 mpg highway. The V-6 model returns 18 mpg city, 24 mpg highway in front-wheel-drive trim, with the addition of mechanical all-wheel drive lowering it to 17 and 23 mpg, respectively. 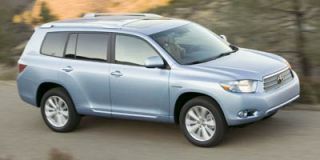 The 2010 Toyota Highlander Hybrid shares a powertrain with the much pricier, ritzier 2010 Lexus RX 450h. It uses a specially tuned 3.3-liter V-6 paired with two electric motors where the transmission would go, plus one more electric motor that provides all-wheel drive by powering the rear wheels. The gasoline engine is smooth and refined, and when combining gasoline and electric torque, the hybrid system produces 270 horsepower. This gives the 2010 Highlander Hybrid quick V-8-style acceleration, even though it's larger and heavier than previous editions. 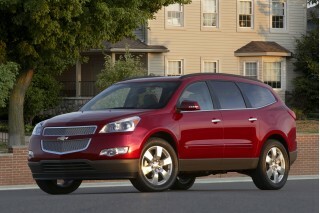 The EPA rates the Highland Hybrid at 27 mpg city, 25 mpg highway. The 2010 Highlander isn't particularly a driver's car. The Sport model makes an effort at good driving dynamics, but the base and Limited editions are too softly sprung to be interesting on a twisty road. The electric power steering offers zero feedback, and the springs and dampers feel mushy. With 8.1 inches of ground clearance and available all-time four-wheel drive (with a 50/50 torque split), the Highlander has the goods to get through a muddy driveway or deep snow, along with rutted trails. The Highlander Hybrid's all-wheel drive, however, which replaces mechanical drive with an electric motor to power the rear wheels, runs at least a theoretical risk of cutting out when it's most needed-since the control software will shut down the motor if it tries to draw too much power under extreme conditions. Toyota makes good use of the space inside the 2010 Highlander. American-sized adults can fit just fine in the second row, especially when the rear bench seat is configured like individual buckets. The second-row arrangement is more versatile than is typical for mid-size utility vehicles, with a Center Stow Seat providing a spot for a third (small) person. When it is stowed in a rattle-free cubby under the front console (which takes less than 15 seconds), the space remaining between the outboard rear buckets is wide enough to provide access to the two-person foldable third-row bench. As for that third row, an adult wouldn't want to sit back there for more than a few miles, but the space is large enough for the kids who will ride in it to sports practice and other after-school activities. In both NHTSA and IIHS tests, the 2010 Toyota Highlander ranks as one of the safest vehicles on the road. The 2010 Highlander earns perfect five-star ratings from the National Highway Traffic Safety Administration (NHTSA) in three of four impact tests: front driver, side driver, and side rear passenger impacts. The only test in which it doesn't earn five stars, for front passenger impact, results in a still-impressive four-star rating. Both front- and all-wheel-drive versions of the standard 2010 Highlander are rated four stars for rollover. In tests by the Insurance Institute for Highway Safety (IIHS), the Toyota Highlander garners the highest possible rating of "good" in every test conducted, although the IIHS did not test roof strength for the 2010 Toyota Highlander or Highlander Hybrid. The 2010 Toyota Highlander comes equipped with a wide range of very desirable features. What's more impressive is how many of those features are included as standard fare-especially on the higher trim levels. The 2010 Toyota Highlander offers three trim levels: base, Sport, and Limited. The Sport model replaces the base 17-inch six-spoke alloy wheels with 19-inch five-spoke wheels, adds a fold-flat second-row seat and number of appearance features, and provides a 3.5-inch multifunction display in the instrument panel. The Limited picks up leather-trimmed power seats, various luxury appearance items inside and out, keyless entry, and a garage-door transceiver. Options include various sound systems, a power moonroof, a navigation system, a power tailgate, and a host of other convenience and luxury fittings. 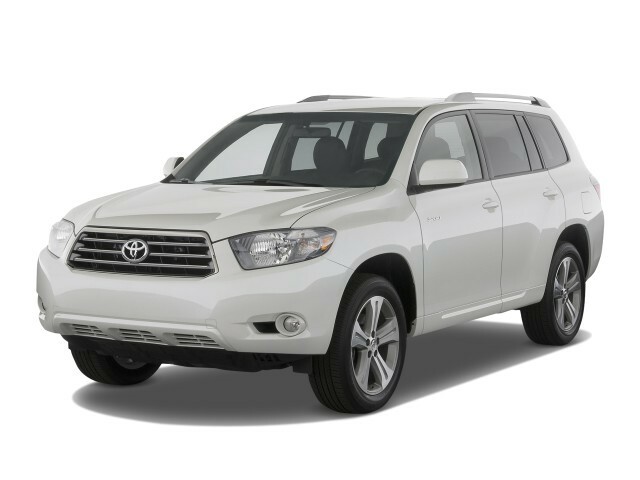 The 2010 Toyota Highlander and Highlander Hybrid are functional, but not particularly stylish or noticeable. The 2010 Toyota Highlander and Highlander Hybrid are indistinguishable from the 2008 models, the first year for the restyled second-generation Toyota Highlander. 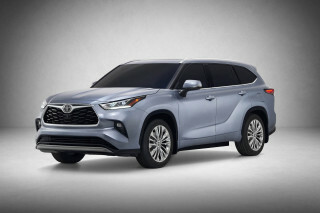 Reviews read by TheCarConnection.com indicate that the styling hardly inspires passion, but like most Toyota models of recent years, it won't offend. With the exception of the space-age Prius hybrid, Toyota vehicles rarely stand out, and that includes the Highlander. The lines of the 2010 Highlander and Highland Hybrid have grown more rounded but no more distinctive. While the interior is well built and offers all the amenities buyers expect, it's not particularly stylish-which seems to be just fine with hundreds of thousands of Highlander buyers. Kelley Blue Book reviewers are among the most positive regarding the 2010 Toyota Highlander's exterior, calling it "an attractive vehicle designed more to blend into the automotive landscape than stand out from it." Car and Driver reviewers find that the new Toyota Highlander "features more aggressive and muscular styling," though that's not saying much in light of the ultra-conservative styling of the first-generation Toyota Highlander. Popular Mechanics, however, feels that the Toyota 2010 Highlander is less attractive, claiming it "[resembles] a minivan." The Highlander's interior is better received; most reviewers heap compliments upon the interior styling. Kelley Blue Book reviewers are impressed by how the 2010 Toyota Highlander's interior "is at once conservative, functional and attractive." Edmunds appreciates that "the control layout remains simple and easy to understand," while ConsumerGuide raves about the "large, easy-to-read gauges." Popular Mechanics reviewers feel "the layout and detail of the instrument panel tilt toward the functional, with larger dials and clear labeling of controls" and they appreciate "the added bonus of the information window that sits atop the IP, relating bits of info on MPG, tire pressure, compass reading, ambient temperature, back-up camera, clock and more." 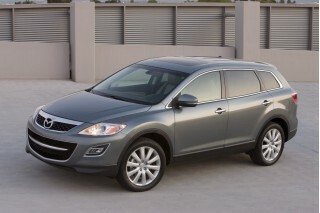 Cars.com says, however, that "SUVs like the Mazda CX-9 and Hyundai Veracruz boast some impressively upscale interiors. In comparison, Toyota falls a bit short," although "the chrome accents and electroluminescent gauges look terrific." The 2010 Toyota Highlander and Highlander Hybrid offer an array of engines, but poor steering feel and a soft ride lead to uninspired handling. Car and Driver reviewers "don't expect [the four-cylinder] to move the roughly 4000-pound Highlander with any real gusto" and claim that "the V-6 is far better suited to hauling around a Highlander loaded to the gills with occupants and their stuff." 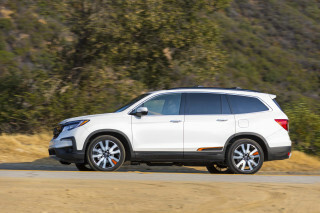 ConsumerGuide adds that "models with the conventional V-6 engine have good all-around power," but reviews read by TheCarConnection.com indicate the four-cylinder will deliver significantly worse acceleration and passing ability. ConsumerGuide also notes that "the four-cylinder pairs with a six-speed automatic transmission, while V-6 versions use a five-speed automatic." The extra gear for the four-cylinder improves fuel economy, though it doesn't make up for the power deficit. 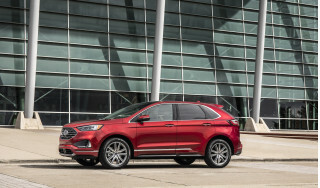 As well as transmission options, Car and Driver says "the Highlander is available with front-wheel drive or with automatic four-wheel drive," though the four-wheel drive "is available only with the V-6 and adds nearly 200 pounds and roughly $1,500 to the price." The 2010 Toyota Highlander Hybrid shares a powertrain with the much pricier, ritzier 2010 Lexus RX 450h. It uses a specially tuned 3.3-liter V-6 paired with two electric motors where the transmission would go, plus one more electric motor that provides all-wheel drive by powering the rear wheels. The gasoline engine is smooth and refined, and when combining gasoline and electric torque, the hybrid powertrain produces 270 horsepower. This gives the 2010 Highlander Hybrid quick V-8-style acceleration, even though it's larger and heavier than previous editions. The EPA rates the Highland Hybrid at 27 mpg city, 25 mpg highway. The 2010 Highlander isn't particularly a driver's car. The Detroit News effectively sums up the professional opinions by citing the Highlander's "solid, but not precise, feel." While many reviews read by TheCarConnection.com deride the driving experience, Edmunds appreciates that the 2010 Highlander is "still easier to drive than most midsize SUVs, even those of the crossover variety." The Sport model makes an effort at good driving dynamics, but the base and Limited editions are too softly sprung to be interesting on a twisty road. The electric power steering offers zero feedback, and the springs and dampers feel mushy. Edmunds adds that the "steering is light enough to make it easy to maneuver in tight spaces," but Cars.com reviewers can't stand the "lifeless, artificial steering feel." With 8.1 inches of ground clearance and available all-time four-wheel drive (with a 50/50 torque split), the Highlander has the goods to get through a muddy driveway or deep snow, along with rutted trails. The Highlander Hybrid's all-wheel drive, however, which replaces mechanical drive with an electric motor to power the rear wheels, runs at least a theoretical risk of cutting out when it's most needed-since the control software will shut down the motor if it tries to draw too much power under extreme conditions. When it comes to ride comfort, few SUVs can match the 2010 Toyota Highlander. ConsumerGuide reviewers report that the ride quality is "among the best in class." In addition to its comfort virtues, Popular Mechanics calls the brakes "precise and quick," and ConsumerGuide agrees, praising the Toyota Highlander because its " brake-pedal feel is firm and progressive." The 2010 Toyota Highlander earns rave reviews for its spacious, comfortable interior and good construction inside-though reviewers' comments conflict on the apparent quality of the materials used. ConsumerGuide reviewers provide the perfect introduction for the 2010 Toyota Highlander, remarking that "Highlander is a competent, refined, family focused SUV that offers great practicality, cargo and passenger versatility, and evident quality." Toyota makes good use of the space inside the 2010 Highlander. American-sized adults can fit just fine in the second row, especially when the rear bench seat is configured like individual buckets. The first thing that passengers in the Toyota 2010 Highlander will notice is the comfortable seating arrangement within the cabin. ConsumerGuide proclaims that the front seats "are nicely supportive, and there's ample headroom and legroom" for tall occupants. Cars.com says the 2010 Toyota Highlander will "accommodate up to seven" with its standard three rows of seats, but "you can drop the third row in order to save a little cash, reducing seating capacity to five." Kelley Blue Book states "the reclining second-row seats also slide 4.7-inches fore-aft and offer a lift-out middle seat cushion for pass-through into the rear row." Edmunds reviewers are particularly impressed by that innovative middle seat, "which allows owners to easily stow the center section of the 40/20/40 second-row bench seat, thus providing walk-through access to the third row. The '20' section simply slides into its own cubby under the front-seat center console." Speaking of the rear third row, Car and Driver reports that "the latest Highlander's third row is spacious enough for smaller adults to use." In addition to the impressive occupant space, the 2010 Toyota Highlander offers a large amount of interior storage. Edmunds says the "center console could fit a small desktop computer." While "there's only grocery-bag space behind the third-row seat," according to ConsumerGuide, it does fold to create more cargo space. They are also impressed by the "top-notch small item storage" inside the 2010 Toyota Highlander. Like most Toyota vehicles, the 2010 Toyota Highlander has generally high-quality materials and construction. ConsumerGuide notes that the 2010 Highlander has "above-average-grade plastics and comfortable cloth upholstery," although they point out "the fuzzy headliner feels cheap." But Cars.com takes a more negative tone, saying interior quality on the 2010 Toyota Highlander suffers because "most areas are trimmed in hard plastics," and "the textures lack the appeal of the stuff in several competitors." ConsumerGuide also finds few problems with noise levels, claiming that the Highlander is "generally quiet, though wind and road noise are noticed at highway speeds." It's hard to perform much better in crash tests than the 2010 Toyota Highlander. In both NHTSA and IIHS tests, the 2010 Highlander ranks as one of the safest vehicles on the road. It earns perfect five-star ratings from the National Highway Traffic Safety Administration (NHTSA) in three of four impact tests: front driver, side driver, and side rear passenger impacts. The only test in which it doesn't earn five stars, for front passenger impact, results in a still-impressive four-star rating. Both front- and all-wheel-drive versions of the standard 2010 Highlander are rated four stars for rollover. In tests by the Insurance Institute for Highway Safety (IIHS), the Toyota Highlander garners the highest possible rating of "good" in every test conducted, although the IIHS did not test roof strength for the 2010 Toyota Highlander or Highlander Hybrid. The Highlander's safety credentials don't end there, however, since it's also equipped with a wide range of standard safety equipment. Cars.com reports that the 2010 Toyota Highlander comes "standard with four-wheel-disc antilock brakes, traction control and an electronic stability system." ConsumerGuide says the equipment includes "curtain side airbags that cover all seating rows, front side airbags, and a driver knee airbag." Anyone who plans on taking their Toyota Highlander off-road will be glad to hear that the 2010 Toyota Highlander AWD comes standard with "hill descent control," according to ConsumerGuide. The 2010 Toyota Highlander is, in most regards, a safety standout. Reviews read by TheCarConnection.com find fault with the Toyota Highlander is one area, however: driver visibility. While ConsumerGuide says "forward visibility is good thanks to an elevated seating position," they add that "rear visibility is impeded by 2nd-row headrests and thick rear roof pillars." Sadly, this is an increasingly common result of stronger rollover protection. The 2010 Toyota Highlander comes equipped with a wide range of very desirable features. What's more impressive is how many of those features are included as standard fare-especially on the higher trim levels. The 2010 Toyota Highlander is, in the words of Edmunds reviewers, "truly optimized for family use." The 2010 Toyota Highlander lineup is available in three trims, which ConsumerGuide cites as "Base, Sport, [and] Limited." Reviewers at Edmunds note the base version of the Toyota Highlander has "17-inch alloy wheels, privacy glass, a fold-flat third-row seat, a tilt-and-telescoping steering wheel, air-conditioning, a CD stereo with an auxiliary input jack and full power accessories"-all as standard. The Sport model replaces the base 17-inch six-spoke alloy wheels with 19-inch five-spoke wheels, adds a fold-flat second-row seat and number of appearance features, and provides a 3.5-inch multifunction display in the instrument panel. The Limited adds leather-trimmed power seats, various luxury appearance items inside and out, keyless entry, and a garage-door transceiver. ConsumerGuide also notes that Sport models get a "leather-wrapped steering wheel w/radio controls [and] 8-way power driver seat," while the Limited includes "dual-zone automatic climate control, leather upholstery," and "AM/FM radio w/in-dash 6-disc CD/MP3 changer." As with most vehicles, the really exciting features for the 2010 Toyota Highlander are available as options. Some of the more noteworthy choices include "a navigation system, JBL premium audio, a backseat DVD player, [and] a moonroof," according to Cars.com. 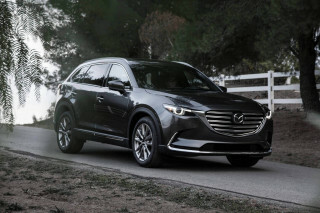 Kelley Blue Book rounds out the options list by noting that "multi-stage heated leather front seats" and a "power liftgate" are available, along with "Bluetooth phone connectivity."